Power of Love’s Microfinance program empowers women impacted by HIV and AIDS by providing them with a small loan and business training, advice, and monitoring over the course of the loan period. Our program is specifically designed for women caring for HIV positive children and is one of the few loan programs that works with women infected or impacted by HIV and AIDS. Dorothy cares for nine children - four of her own and five orphans. She was selling vegetables for income, but her business was not doing well due to several similar vendors in her area. Dorothy wanted to start a new business but needed capital of at least $120-150. She enrolled in Power of Love's micro loans program and received the business training and loan to start a new business. 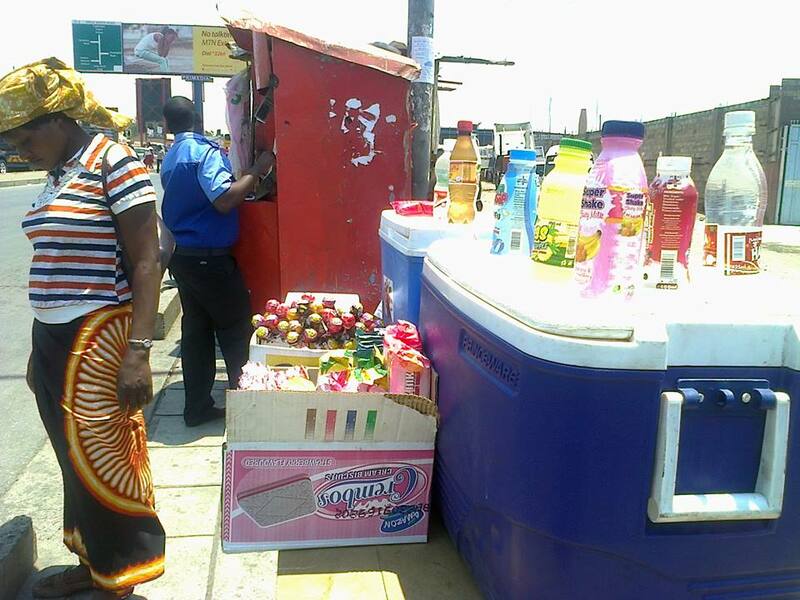 Her new business (soap, oil, detergent, eggs, and toiletries) is doing well. With the earnings from her business she has been able to pay for school expenses for two children who she hadn't previously been able to support. Dorothy plans on working hard and using the skills she learned during business training to take her business forward. At present, Dorothy is happy that her business is doing well, her children are eating better, and are in school. She has become a mentor to other women in the community and encourages them to take charge of their own lives. Jane is a widow caring for four children of her own and three children from her late brother. Both her husband and brother died in the same year, leaving her with no means to care for her family. Jane enrolled in our micro loans program, received business training and a loan, and started selling fruits. At present Jane is on her third loan cycle and her business is doing well. She has expanded her assortment of goods to include eggs, cooking oil, and other types of groceries. She is very happy that she is able to take care of her family with earnings from her business. Jane's plan for the future is to keep all children in her care enrolled in school and to make their living arrangement more comfortable by extending their one room house. She is confident that she can achieve her goals by working hard and saving for her future. Microloans successfully enable women to engage in self-employment projects and set themselves on the road to self-reliance. These loans help a poor household meet basic needs and protect against unexpected financial expenses. For most women there is a dramatic improvement in their standard of living, and they even may graduate out of poverty. For all involved there is perceived improvement in gender equality, improved economic welfare, and a sense of well-being and self-empowerment. We are proud to report that all of the outcomes of this project continue to be significant, sustainable, and permanent. At this time we are raising funds to provide an additional 100 new loans to women entrepreneurs like Dorothy and Jane in August 2013. This will bring the total number of women in our program to 250. Please donate generously to help these women take better care of their families, keep their children in school and take the first steps towards self-reliance. Thanks for your support of impoverished women entrepreneurs in Zambia.